These approximate 2800 square foot tenant finishes are a particular challenge due to the fast track nature of these projects. Starting with only a shell we were able to have these Mexican Grills open in less than 8 weeks. We are happy to say that we have successfully completed eight of these projects. In several of these projects, we have also negotiated and successfully completed the shell for the landlord. 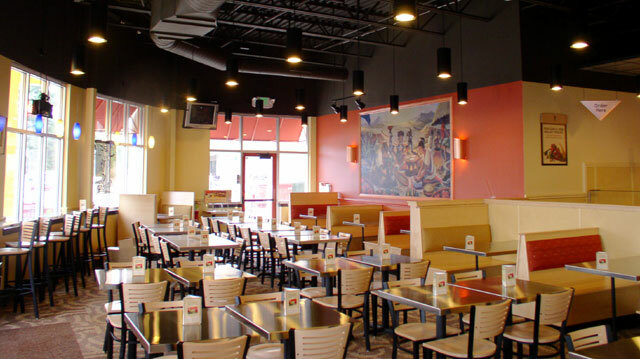 ""Kevin Bohnenstiehl, with R. G. Ross Construction, has completed two restaurant projects for me within the last year..... Both projects were a success...The staff and owners of R.G. Ross expertly support Kevin with the necessary administrative functions. The quality of on-site project superintendents employed by R.G. Ross is exemplary.""